Can I change the interest rate of my mortgage in bankruptcy? No, or at least, the bankruptcy won’t help you with your interest rate in any way. In a chapter 7, you can reaffirm the mortgage, which means that you’ll make the same payments, same interest rate, and have the same balance. The chapter 7 won’t let you change the terms of the mortgage at all. In a chapter 13, you keep the same balance, payments, and interest rate. The only thing that it helps with is the arrearage balance (the amount of payments you are behind). For example, it won’t change your current monthly payment or balance, but the chapter 13 lets you pay back the mortgage arrears at 0% interest over 60 months. Bankruptcy will not change your mortgage interest rate at all. You need to work on a loan modification or a refinance if you want help with the interest rate and payments. This entry was posted in Utah Bankruptcy on March 31, 2014 by robertspaynelaw. What happens to your wedding ring when you file bankruptcy? What about your clothing? Last night my wife jokingly asked me if you will lose your clothing in bankruptcy, and the answer is a resounding NO. Utah Code 78B-5-505. Property exempt from execution. protects “all wearing apparel of every individual and dependent, not including jewelry or furs.” This means that Liberace himself (or for you younger people, Paris Hilton) could file bankruptcy, and the thousands upon thousands of dollars of “wearing apparel” are protected under Utah law. You will never lose the shirt off your your back. However, jewelry and furs are another matter, and this includes wedding rings. Utah Code 78B-5-506. Value of exempt property protects “heirlooms or other items of particular sentimental value to the individual” up to $1,000 in value. This means that most people will be okay. However, if you have a wedding ring worth more than $1,000 (remember, this is the value a pawn shop would pay you if you had to hock the ring to cover the utility bill this month, not the purchase cost), then you might actually lose it in bankruptcy. 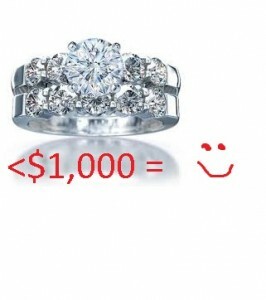 For example, let’s say you have a ring worth $5,000. If you filed a chapter 7, and if it were still worth $5,000, then the trustee could demand that you sell it, keep $1,000, and use the rest for the trustee to pay off creditors. In this kind of situation, you may decide to file a chapter 13 where you offer to pay that unprotected $4,000 in ring value to your creditors as part of a chapter 13 plan, paying about $100 a month to the court for almost 4 years. On the other hand, if your ring is still financed, then you can file a chapter 7 and reaffirm or surrender it, and the trustee won’t care one way or the other so long as there is no value over $1,000. So your ring may be problematic, but you won’t lose the shirt off of your back. This entry was posted in Utah Bankruptcy on March 28, 2014 by robertspaynelaw. Can I re-open my chapter 7 bankruptcy to strip or remove a judicial lien from my home after the case has already been closed? You can file a motion to reopen the chapter 7 case and a motion to avoid judicial lien. Just remember that this is not a normal service as part of your original bankruptcy, and you’ll have to hire an attorney to file these two motions. In addition to the attorney’s fees, you’ll have to pay a fee of $260 to the bankruptcy court to reopen the case. This entry was posted in Utah Bankruptcy on March 27, 2014 by robertspaynelaw. I am borrowing my parent’s car. Do I have to list that in my bankruptcy? What if they financed it in their names, and I am making the payments? You do not own the car, so you are not on title for it, so, No, you don’t have to list it as one of your personal assets. However, you are required to list it in the Statement of Financial Affairs as property that someone else owns that you are borrowing. At the 341 Meeting of Creditors, the bankruptcy trustee will ask you what you are using for transportation. His follow-up question will then be, “Do you have any ownership interest in the vehicle?” It’s not a scary question, but it’s nice to be prepared and be able to answer that it is not yours. What is a little more involved is when your parents have purchase a car, in their names, and have a loan against it with their bank or credit union. You are making the payments on it, but everything is in their name. In this kind of situation, we let the trustee know that you are making the payments and that, yes, one day you hope to own it. We don’t try to hide anything from the bankruptcy trustee. Should I try debt settlement instead of bankruptcy? Yes, if you have the money to afford it, anything is better than bankruptcy. You can generally settle out debts for about 40% of what you owe, usually with a lump sum payment up front and a few small payments on the back end. The problem is that most of my clients don’t have lump sums of cash to settle out debts, and even if they do, they can settle one debt but all of the others keep coming after them. If you do it on your own, you may or may not get a good 40% number. If you use an attorney, the 40% is easier to get, but the attorney will charge you 10% of the amount you save. So, on a $10,000 debt, you settle for $4,000, and then you pay your attorney $600 (10% of the $6,000 you saved). All in all, I prefer bankruptcy because it is clean and fairly simple. But if you have the cash to try to settle, then do so. Can I get my 341 Meeting of Creditors date rescheduled? I have to file a motion to reschedule the 341 meeting and give the court a good enough reason that we need a new hearing date. Most reasons do not suffice. Elective surgery, mean bosses, family trips, etc. are not good reasons. However, I had a client miss her meeting today because she was in the emergency room. That was a good reason. The trustee will file a Motion to Dismiss (or refer it to the U.S. Trustee’s office with a U.S. Trustee’s Recommendation for Dismissal), and I will have to object to that motion and move for a new 341 date. Then, when I get back to the office, I have another client tell me that he’s getting married in about a month, and the odds are pretty good that when we file today, we’ll draw a 341 date right on his wedding date. I feel good about filing a motion to reschedule on this one. So yes, you can get it rescheduled, but it’s a lot of extra work for the attorney, most attorneys will charge you, and you need a really good reason. My income fluctuates because it’s seasonal. How do you calculate my income for bankruptcy? 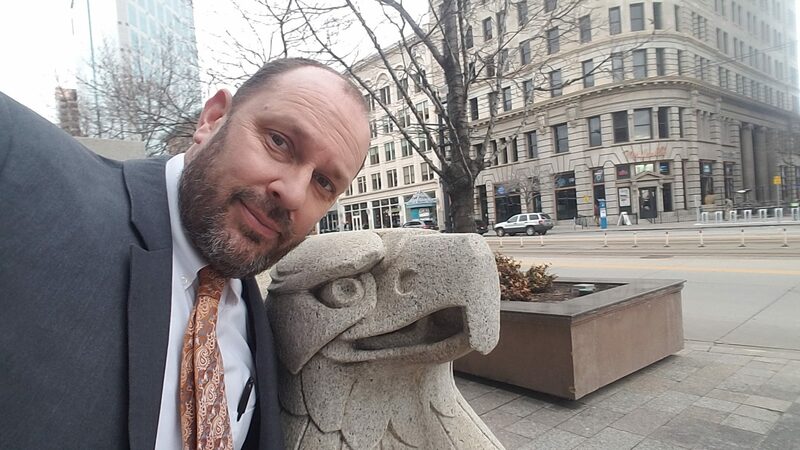 Today In court I was at 341 Meetings for Chapter 13 cases, meeting with Kevin R. Anderson, the Chapter 13 Trustee for the State of Utah. My client works construction, which means that his income is great in the summer, but the moment snow starts falling, his hours drop to almost nothing. The trustee asked my client about his income, and we had to explain that our income is seasonal, and we’ve used averages. In bankruptcy, we base your income (for purposes of the Form 22 means test) on your last six months of income. This way, even if your income fluctuates, we get a pretty accurate number. Unfortunately, if your income is great in the summer, then the last six months of income will appear too high when we file in November. It takes some work to prove this. The trustee is fairly reasonable to work with, and we were able to show that income is already dropping, making our chapter 13 plan a lot more manageable. If we couldn’t prove that income was dropping, then my poor client would have to pay more money into his chapter 13 plan. I forgot to list some of my property in the bankruptcy schedules. Should I tell my attorney, and if I do, will I lose it? So today in court my clients leans over to me and tells me that he forgot to list a car that he owns free and clear. My immediate reaction is, “Oh crap!” In bankruptcy we can protect one car for each debtor, so long as their names are on title, up to $3,000 in value, based on Utah state exemptions for vehicles. But if we haven’t listed a car, we can’t exempt it, and I had already spent my exemptions on two other cars, so I was worried that the chapter 7 trustee would demand that we turn over the extra car to an auctioneer. My client then clarified that the unlisted vehicle was a 1990 Chevrolet Blazer that he purchased for $500 being held by an auto shop who had done over $1,500 worth of work on it and was holding it until they were paid. With their possessory lien against the vehicle, I knew the trustee wouldn’t want it. However, in answer to the question, Yes, tell the attorney. You may lose it, or he may be able to protect it. But you don’t want to commit fraud and perjury on your bankruptcy paperwork. (e) firearms and ammunition not included in other exemption categories in the amount of $250 per individual, and not more than $500 per household. (2) An individual is entitled to an exemption, not exceeding $5,000 in aggregate value, of implements, professional books, or tools of the individual’s trade, including motor vehicles to which no other exemption has been applied, and that are actually used by the individual in the individual’s principal business, trade, or profession. (ii) a recreational vehicle as defined in Section 13-14-102, except a van the individual regularly uses for daily transportation. (b) An individual is entitled to an exemption, not exceeding $3,000 in value, of one motor vehicle. (4) This section does not affect property exempt under Section 78B-5-505. I already signed my reaffirmation agreement, but I changed my mind. Can I cancel/rescind that agreement? According to the terms of the reaffirmation agreement, you can cancel or rescind the agreement “at any time before the bankruptcy court enters your discahrge, or during the 60-day period that begins on the date your Reaffirmation Agreement is filed with the court.” This means that you can cancel the agreement. Even if you’ve received your discharge and the case is closed out, you can still cancel the agreement up to 60 days after the agreement was filed with the court. How to cancel it is the best part. The court approved agreement simply states that “you must notify the creditor that your Reaffirmation Agreement is rescinded (or canceled).” This doesn’t say that you have to file anything with the court, you just have to let the creditor know. Theoretically, you could call the creditor to cancel the agreement, but this is very iffy, since it’s hard to prove, so we like to send a letter to the creditor officially rescinding the agreement. So, yes, if you change your mind, you can cancel it (for 60 days after it’s filed). After the 60 days runs, you’re out of luck, and you are liable for the full reaffirmation agreement amount, even if you now have buyer’s remorse. Can I get my chapter 13 plan payment lowered? Yes, but you need a pretty good reason to submit to the court. When we file a chapter 13, you plan payment is based on any secured payments you’re making (like car payments), plus any mortgage arrears we are paying back, and your plan may be paying back a pot of money to your creditors based on your income level at the time we filed. Getting the payment lowered can happen if we file a Motion to Modify Confirmed Chapter 13 Plan, but we usually need to argue that your income has gone down, your family size has gone up, or something has happened with the mortgage. First, if your income has gone down, we can move to reduce your plan payments if, and only if, you were originally paying a pot of money to your unsecured creditors. Even then, we need to argue that the income loss is permanent, and not just a short-term, temporary loss of income. Second, if your family size has gone up (a new baby), we can reduce your payments, if and only if you were paying a pot of money to unsecured creditors. Third, if you have an approved permanent loan modification, or if you stopped making payments on your home and gave up on it and the mortgage company has been granted a relief from the automatic stay on you home, then we can move to reduce your plan payments if you had formerly been paying back mortgage arrears as part of your plan. So the circumstances must be permanent, and then we can make the attempt.